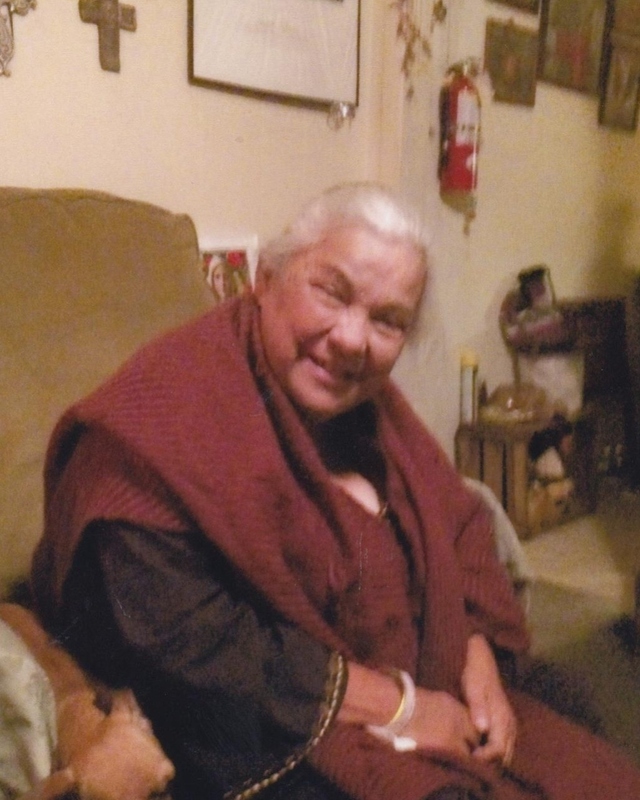 Surrounded by loving family, Irene F. Salinas was called home by our Heavenly Father on October 25, 2018. Irene was born on February 15, 1953 to Hilario and Lina Flores. As she grew up she developed a passion in caring and teaching children; and took a career in Early Childhood Development. She enjoyed cooking and the History channel and loved animals and would name her animals after saints. She will be remembered for her story telling, jokes and sense of humor. Irene’s pride and joy were her children, grandchildren and great grandchildren. She leaves behind many memories to cherish and will be dearly missed. She is preceded in death by her parents and her husband Rodolfo Salinas and granddaughter Elliana Irene Gutierrez and sister and brother-in-law, Juan and Maria Greses. She leaves behind 3 children, Hilario (Mary Jane), Luisa and Rodolfo Salinas; 8 grandchildren, Catrina, Xenia, Joseph, Nicholas, Rudy, Christian and Joe; 3 great grandchildren, Jose, Daniel, Xaidalyn; her sisters, Felicitas and Andrea Flores; a very special niece, Elizabeth Ysassi; numerous nieces, nephews and cousins. She was our mother, best friend and our confidante. She will be terribly missed. Rest with the Angels our beautiful mother. Love you always, your children. Visitation will be held from 5:00 p.m. to 9:00 p.m. on Thursday, November 1, 2018 at Corpus Christi Funeral Home with a Rosary to be recited at 7:30 p.m. that same evening.